Science with stuff: Real fossils bring pre-historica to life! The prehistoric period comes to life with this engaging picture book that includes fossils for young readers to examine and enjoy. The book itself is packed with fascinating facts, awesome illustrations, and memorable information about all things prehistoric—from dinosaurs to ancient plants to trilobites and major fossil discoveries. 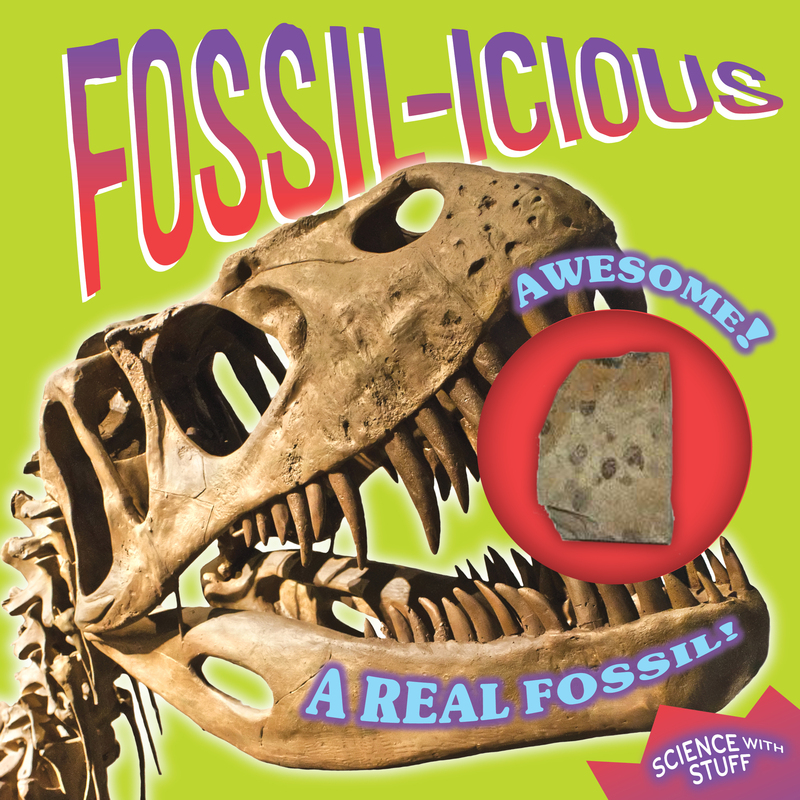 The fossils (visible through a die-cut and encased in a blister pack) are sure to thrill readers by giving them a hands-on connection to the book’s content.